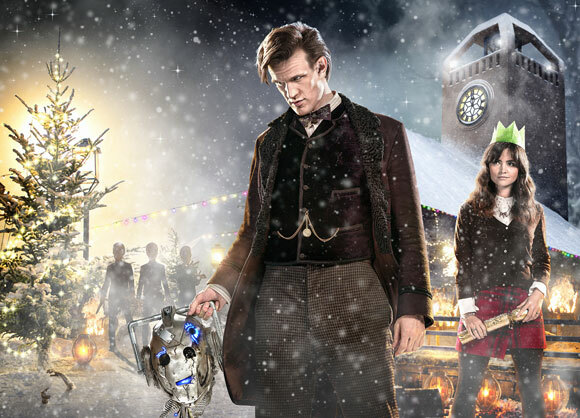 The BBC has released the first Poster image from the 2013 Christmas special. This will be Matt Smiths last story before Peter Capaldi takes over. 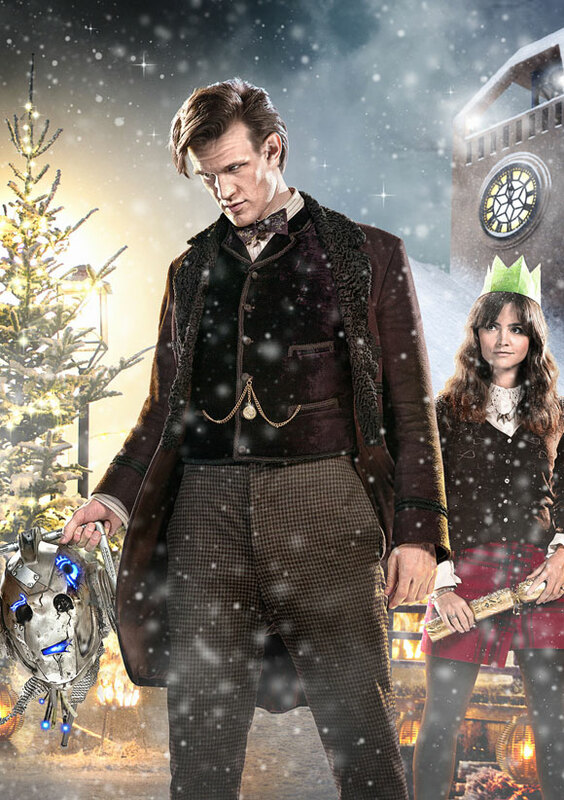 The Time of the Doctor follows Clara and the Time Lord “to a quiet backwater planet in order to learn what some strange signals mean for his very existence”. i want to find out more about river and that cradle in one of his tardis room and did you notice that clara had a rose in her hair in the first episode of her’s. Also their seem to always be roses in vases through out each episode. 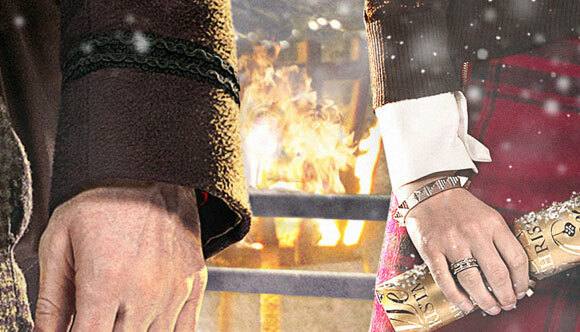 so MAYBE Clara is Rose and thats why she keeps coming back. Or if anyone remembers Rose said her mum was having a mother baby which could be Clara? the doctor has a brilliant plan to go into the painting and tell someone from unit to put it in the black archive (where kate stewart is) so that when time is restored all 3 doctors turn around damage a dalek with the subsequent temporal dicplacement ring placed inside each screwdriver sending the dalek flying back throuh the painting crossisng the barriers of time its self in result destroying it. It now seems clear that Moffat added the fogotten War Doctor incarnation and has been referring to the meta-crises Doctor as a used up regeneration so that it makes Matt Smiths Doctor the final incarnation so Moffat gets to deal with the issue of the limited TimeLord lives….if this is the case this implies that Peter Capaldi’s Doctor is the first incarnation of an extended or renewed life cycle set….which is all well and good except that in this case during the multi Doctor/TARDIS scene in Day of the Doctor why was it just “all13 Doctors” and not 26 or 39 or 107…..I’d prefer if the regeneration energy used to create the meta crisis Doctor didn’t count towards the number of lives but I suspect this is going to be the case. Tydeus – I do know that, he removed the ‘H’ in his name after noticing it spelt as ‘Jon’ on a film poster for a film he did before Doctor Who, I’m just saying that to us, it’s ‘Jon’ not ‘John’. But I thought Time Lords in general have limitless regenerations while The Doctor is supposedly half human, he gets less. Same thing with River, half human, used all her regenerations to save The Tenth…and was it THe Fourth whom said he was already on his 4th regeneration, really making him the fifth? Making it possible for John Hurt to REALLY be The Original Doctor? The fact is that quotes get messed around, and “could be”‘s and “is”‘s are mixed up, and some quotes are completely made up, and never forgetting Rule One: The Moff-tor lies, it’s best just to take things as they’re revealed in OFFICIAL, CANONICAL Doctor Who direct from BBC or Big Finish stories.